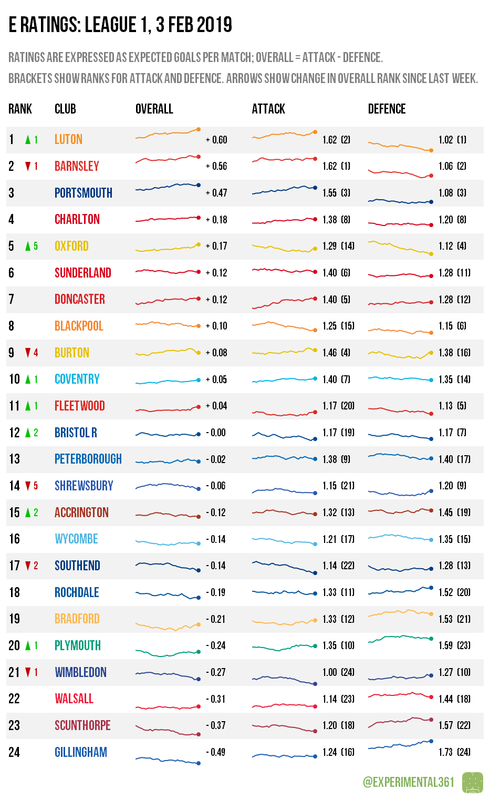 Luton have not only secured a commanding position at the top of the actual league table but have also overtaken long-time leaders Barnsley as the best-performing side according to the data. An even more notable climber is Oxford, whose impressive recent performances – particularly at the back – have seen them rocket up the rankings lately. Despite their improved fortunes of late, the model still doesn’t think much of Scunthorpe, although it reserves the most concern for Gillingham. It now looks as though automatic promotion is Luton‘s to throw away, with one of Barnsley and Portsmouth likely to join them in the final top two. Sunderland could yet break into the picture and have a few games in hand, but their underlying performances haven’t been as convincing as their results so far. 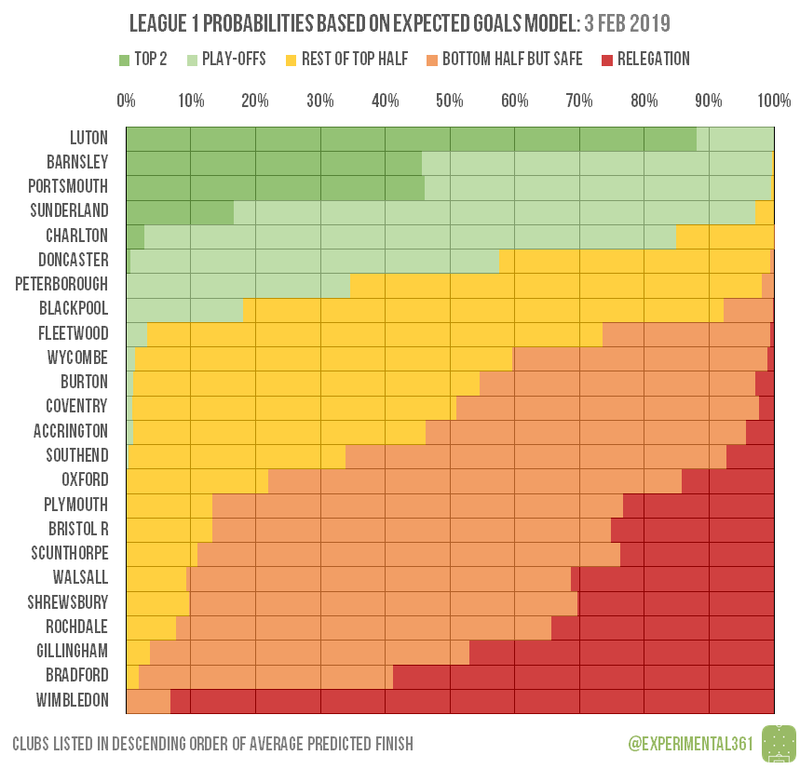 At the bottom, time is running out for Wimbledon to avoid the drop, with the main ray of hope being the huge number of other teams who could still get dragged into a relegation battle.